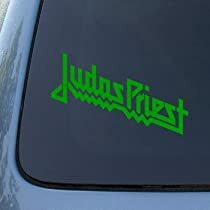 This is a vinyl decal that can be applied to just about any smooth surface. These decals are made from the highest quality vinyl to give you many years of use without fading or peeling. Detailed application instructions are included. Decal size is 5.5" X 3.3"